Kim Borgatta, Ed.D. comes to the world of gemology from a career in art and music education for young children. As a Graduate Gemologist from the Gemological Institute of America, she enjoys sharing her knowledge and love of gemstones with customers. Steve Keim, her husband, is a ceramic dental technician who uses his artistic skills learned from sculpting teeth and making gold crowns to create beautiful original jewelry. Steve and Kim live on Whidbey Island where they enjoy lush evergreen forests and fresh ocean air. Learn more about the Gemological Institute of America. This internationally recognized institute offers excellent training and respected certifications of jewelers and gemologists. They also offer a huge library, networking opportunities with well-known experts in the field, and a widely respected laboratory for identifying gemstones. 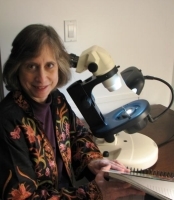 Dr. Kim Borgatta has been in the field of education for over 30 years and enjoys teaching both children and adults about the natural world of stones and crystals. 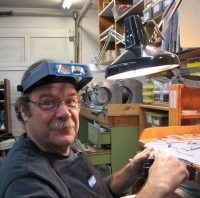 Stephen Keim uses the skills and technology learned in the dental business to apply his artistic talents as he designs and crafts beautiful jewelry with gems and metal.